I am a green tea lover and I have always enjoyed a cup in the afternoon as a pick me up or as a natural pre-workout before the gym. Recently I have completely switched from sencha (the most common green tea) to matcha green tea, a super-strength version that contains almost 140 times more antioxidants than regular green tea. Why should you be drinking matcha? • High in antioxidants/younger-looking skin- Antioxidants protect your body from free radical damage that can lead to diseases like heart disease and cancer. It fights against the negative effects of UV damage, giving us younger looking skin. 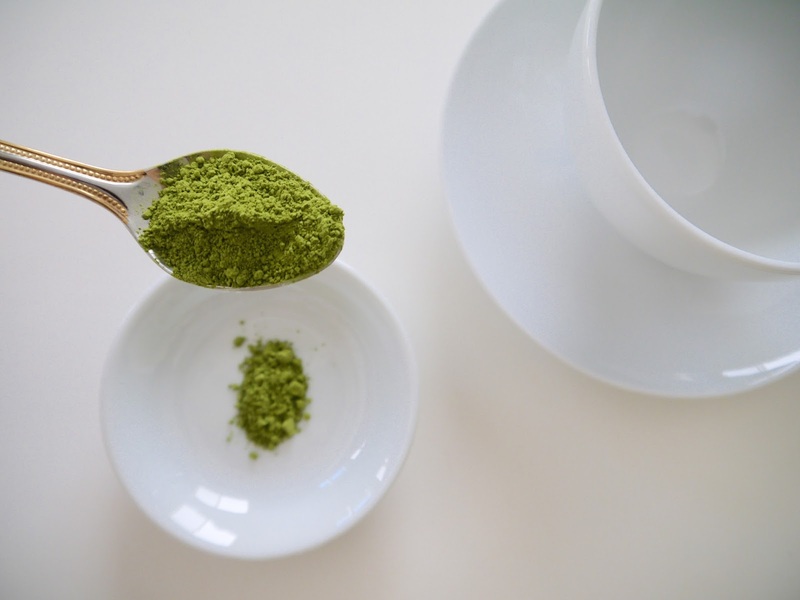 • Loaded with Catechin, EGCg/cancer fighter- Contains a specific catechin called epigallocatechin gallate (EGCg) and makes up 60% of the catechins in Matcha Green Tea. Out of all of the types of antioxidants, EGCg is most widely recognized for its cancer fighting properties. Scientists have found that matcha contains a hundred times more EGCg than any other tea on the market. • Burns calories- Drinking matcha has been shown to boost your metabolism and help the body burn fat about four times faster than average. • Detoxifies the body- In the last three weeks before harvest, the leaves are covered to deprive it of sunlight, which causes a surge in chlorophyll production in the new growth of this plant, thus the more vibrant emerald-green color than regular green tea. This naturally detoxifies the body from heavy metals and chemical toxins. 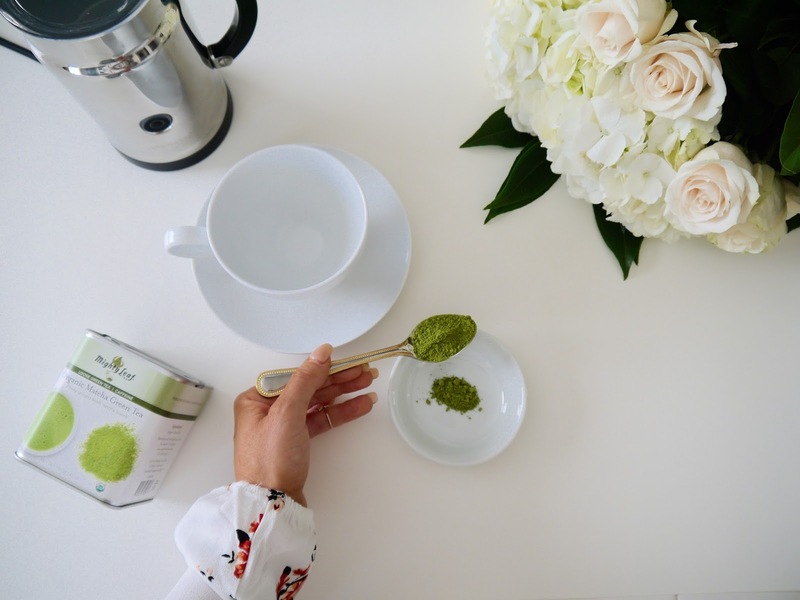 • Increases energy levels and endurance- while all green tea contains caffeine, the energy boost received from matcha is mainly due to a unique combination of other nutrients. The increased endurance can last up to six hours (due to L-Theanine) without the usual side effects of too much coffee such as hypertension (jitters). It is good, clean energy. • Calming- Contains the amino acid L-Theanine which promotes relaxation without causing drowsiness. • Boosts memory and concentration- Another impact of L-Theanine is the production of dopamine and serotonin. These two chemicals enhance mood, improve memory and promote better concentration. I only buy certified organic Japanese matcha as quality is very important to me. So far, I recommend matcha from Mightyleaf and EatCleanTea. Japan has stricter organic certification standards (JAS) than China and the U.S. so I am looking forward to trying this one out once it arrives. I think it has a wonderful taste on its own, but some might not be partial to its taste. You can blend it in smoothies, bake with it or (my favorite) make a matcha latte! 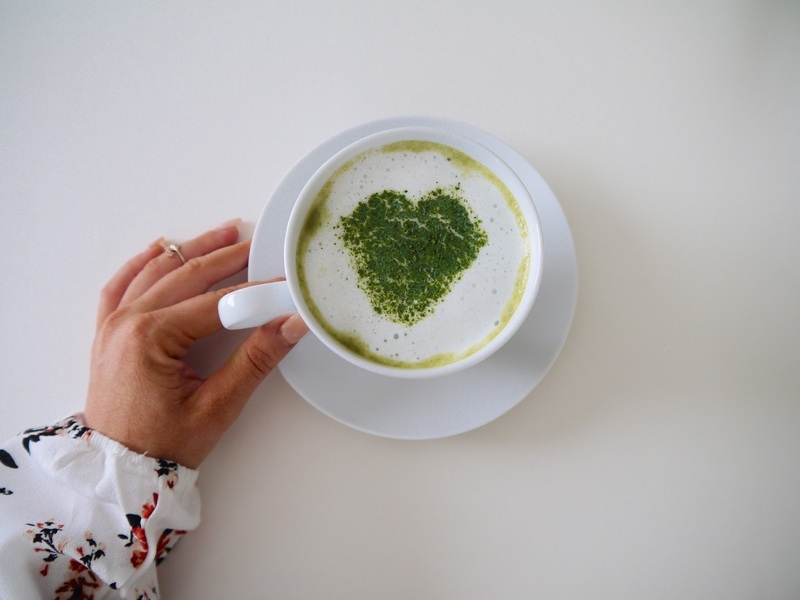 Luckily, here is a matcha latte recipe that is absolutely delicious! 1. 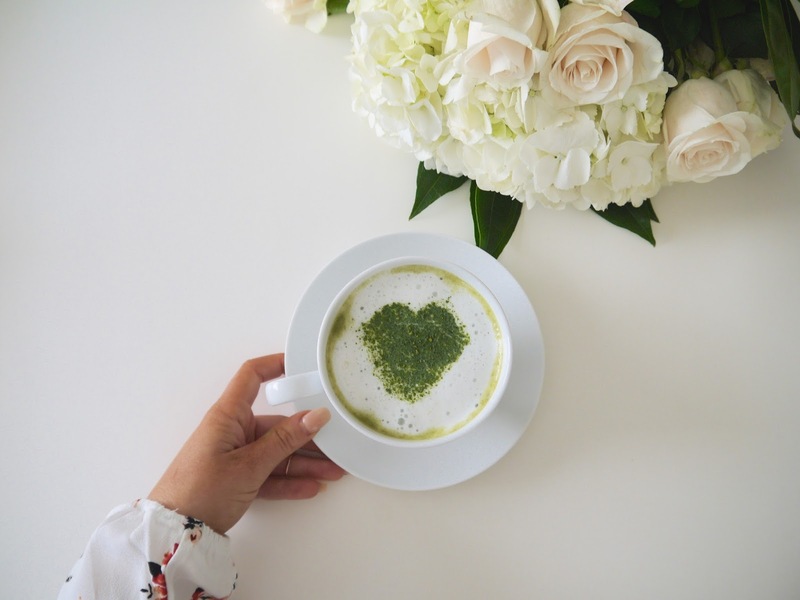 Using a handheld milk frother (or small whisk) mix the matcha (start with a teaspoon or go by the instructions on your matcha packaging) with the cinnamon and boiling water. It should look thick and frothy. 2. Heat about 200 ml (about 3/4 cup) of the almond milk in a pan and slowly add the matcha mixture you made earlier and stir in the vanilla extract until hot but not boiling. 3. Taste to see if you need the agave at all or add to taste. 4. I then add the remaining almond milk in my Nespresso Aeroccino for some pretty foam but you can also use the wisk from earlier to create a beautiful Matcha Latte.